Wowzer Sassy this is classy, elegant and very beautiful a truly wonderful creation. gorgeous card Sassy, b&w so effective! and well done you for being so restrained with the embellies! A really stylish card. I love the embossing and sparkly buckle. Really a beautiful card, even without lace and flowers:) You did a great job here Sassy! Oh Sassy your card is stunning! I can only imagine how difficult it was for you to 'keep it simple' but you succeeded and they will LOVE IT! Hi Sassy! I just wanted to pop in to see some more of your lovely creations. I'm always awed by your creations; so sweet and such an artist, you are! Thanks for sharing and have a beautiful day! 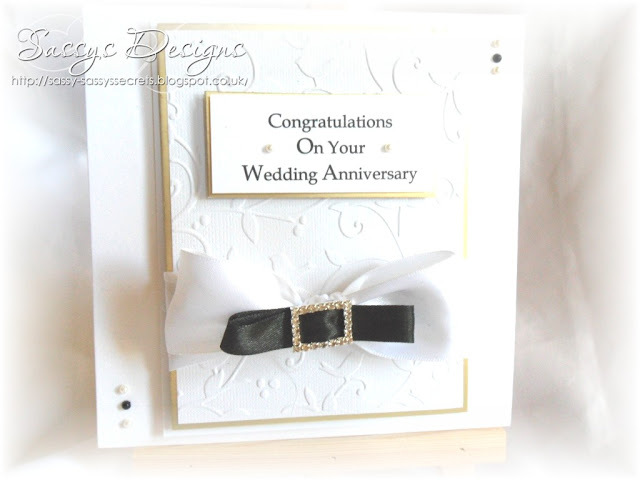 A beautiful card Sassy, soft and romantic with a perfect touch. Wow! this is gorgeous Sassy! 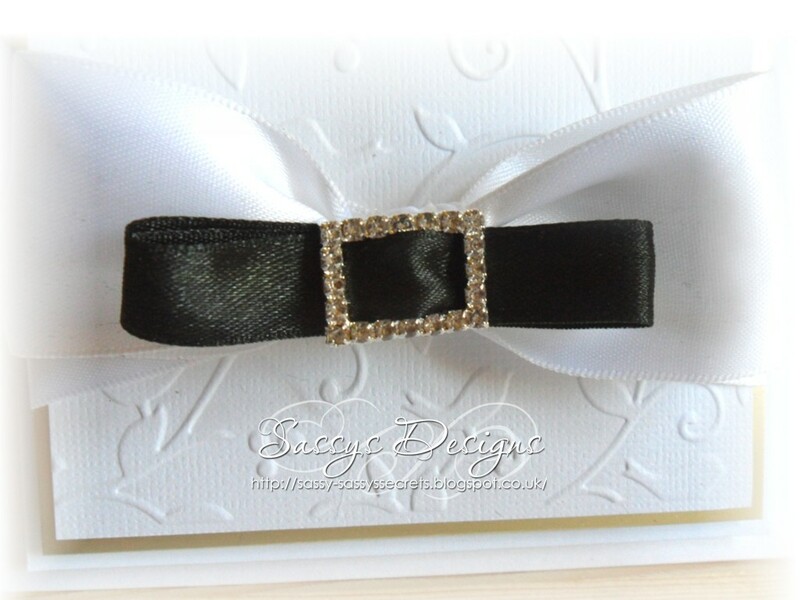 I love the embossing and the touch of black with the diamante buckle is just stunning!! so elegant and classy! Thanks for all your lovely comments hun! Fabulous card Sassy! Love the black and white and the embossing. 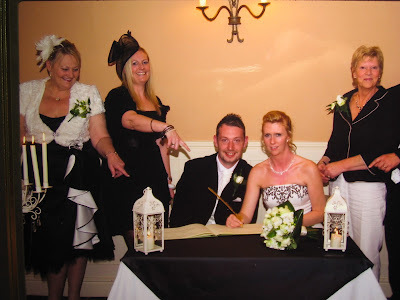 A very elegant and sophisticated card which I'm sure your son and daughter in law adored. Have a great day. hahaha, HRH's first thought was: this pic is a photo inspiration LOL!!! 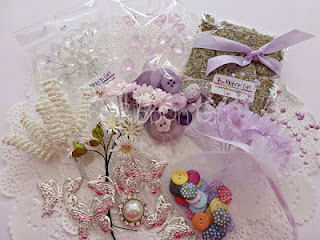 Your card is perfect for someone who is not fussy fussy and no flower gal LOL!